As public employees in New York State, elected and appointed officials are usually NYSLRS members. However, their compensation generally isn’t based on an hourly rate, and their irregular hours can make a typical timekeeping system impractical. So, how do we fairly and accurately credit their service in our system? In 1975, Regulation 315.4 of the New York Codes, Rules and Regulations (NYCRR) established a process for reporting time worked by elected and appointed officials, which we’ve used since with periodic revision. Reporting resolution. When the governing board receives the official’s ROA, it checks the ROA against the official duties of the position and excludes any improper entries. Based on this record, the board adopts a resolution establishing both the average number of days worked by the official each month and the length of a standard work day (SWD) for the official. Public notice. After passing the resolution, the governing board must post it on the board’s public website for at least 30 days or, if the board has no public website, on the official sign-board or at the main entrance to the clerk’s office. After 30 days, the governing board has 15 days to file the resolution with NYSLRS. Next term. 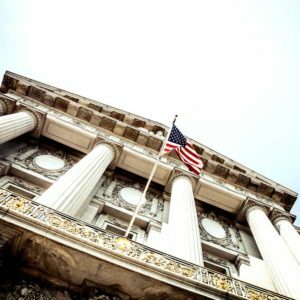 An ROA can be valid for up to eight years, but if the official begins a new term or is reappointed before then, NYSLRS needs a new ROA and a new reporting resolution. An official, who feels that the previous ROA still accurately represents the time worked, can certify that in writing in lieu of a new ROA. Governing boards must keep officials’ ROAs on file for at least 30 years. 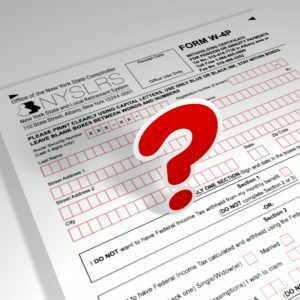 Any official who does not submit an ROA will receive a warning from NYSLRS. If that goes unheeded, member benefits, including estimates, tier reinstatements and requests for previous service credit will be suspended, and time worked during this period will be excluded from the individual’s pension benefit calculation. Visit our website for the full details about reporting regulations for elected and appointed officials. Content last revised February 15, 2017. This entry was posted in General News, Members and tagged Appointed Officials, Elected & Appointed Officials, Elected Officials, ERS, members, New York Codes, New York State & Local Retirement System, Next Term, NYCRR, NYSLRS, PFRS, Public notice, Record of Activities, Regulation 315.4, Reporting process, Reporting resolution, ROA, Rules and Regulations (NYCRR), Service credit on February 15, 2017 by NYSLRS. Content last revised April 2, 2018. This entry was posted in General News, NYSLRS Retirees, Retirees and tagged federal income tax, federal tax withholding, federal tax withholding calculator, Information is the Key, New York State & Local Retirement System, NYSLRS, NYSLRS Retirees, PFRS, retirement, tax refund, W-4P, withholding, Withholding Certificate for Pension or Annuity Payments on February 8, 2017 by NYSLRS. We all look forward to a long, happy and financially secure retirement. But as you plan for retirement, “how long?” is an important question. People are living longer. A 55-year-old man can expect to live another 25 years, to about 80. Women tend to live three or four years longer. But these are only averages. More than 36,000 current NYSLRS retirees are over 85, and more than 3,000 have passed the 95 mark. In fact, in the state fiscal year that ended in March 2016, 336 NYSLRS’ retirees were 101 or older. Considering that many public employees retire at 55, retirement could last 45 years or more. As you plan for retirement, you need to ask yourself, will I have enough money to maintain a comfortable life for decades to come? Members of the Employees’ Retirement System (ERS) who retired in 2016 are receiving an average monthly pension of $2,364. The average Social Security benefit for a retired worker was $1,355, as of November 2016. 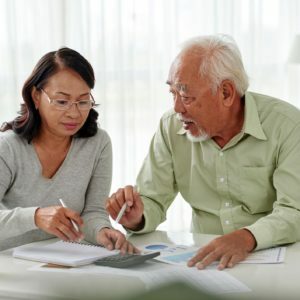 Retirement savings are also a crucial asset, but half of U.S. households with members aged 55 or older have no retirement savings, according to a recent report by the U.S. Government Accountability Office. If you have no retirement savings, it is never too late to start. An easy way to get started is through the New York State Deferred Compensation Plan, a retirement savings program created for New York State employees and employees of participating public agencies. Content last revised February 1, 2017. This entry was posted in General News, Members and tagged Comptroller Thomas P. DiNapoli, deferred compensation, ERS, Information is the Key, know your benefits, members, New York State & Local Retirement System, NYSLRS, PFRS, Preparing to Retire, retirement, retirement planning, retirement security on February 1, 2017 by NYSLRS.